Viezu | Viezu up for a hat-trick of awards! Viezu up for a hat-trick of awards! TWO Worcestershire businessmen face a tense final wait to find out if they have been successful in the 2012 Midlands Business Awards. The judges’ verdict will be revealed at a gala awards ceremony on Friday night at the Hilton Metropole Hotel in Birmingham, where celebrity chef Alan Coxon and company boss Paul Busby will be among 47 finalists competing in nine categories, which bring together the best of Midlands business. Evesham-based Mr Coxon’s business, Coxon’s Kitchen, has been shortlisted in the Midlands Exporter of the Year category, while he is also among the contenders for the Midlands Entrepreneur of the Year title – a category for which Mr Busby, from Bromsgrove, is also in the running. The chef, TV presenter, author and food archaeologist’s love of culinary history helps to bring alive the historic originations of everyday ingredients and he has been exporting products using Roman recipes to Italy. 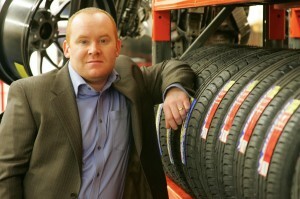 Mr Busby and his business Viezu Technology are potentially in line for a hat-trick of awards. The firm is a world leader in vehicle tuning; its programming files and products have been developed over 20 years of hands-on experience and tested both in the lab and on the road. It is down to the final five in the Midlands Exporter of the Year and chief executive Mr Busby has gone through to the final for the Innovation and the Entrepreneur of the Year categories.